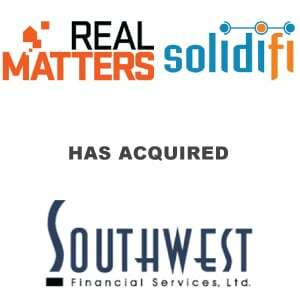 Solidifi Acquires Southwest Financial Services Ltd., One Of The Largest Independent Providers Of Outsourced Services To Home Equity Lenders - Berkery, Noyes & Co., LLC. BUFFALO, N.Y. and CINCINNATI, May 4, 2015 /PRNewswire/ — Solidifi, a leading independent provider of residential real estate appraisals and the service provider of choice for more than half of the top 100 lenders in the United States, is proud to announce the acquisition of a national, independent provider of outsourced services to home equity lenders. For more than 25 years, Cincinnati-based Southwest Financial Services Ltd. has delivered seamless and efficient title, valuation and flood determination services for many of the nation’s largest lending institutions, processing more than 5,000 transactions a day. The acquisition extends and strengthens Solidifi’s solutions for the home equity market. “The synergies between Solidifi and Southwest Financial Services are undeniable,” says Greg Schroeder, President of Southwest Financial Services “Both companies are dedicated to serving our customers at the highest level possible. We are equally dedicated to our people, who are the foundation for our success. They are dynamic and caring and always willing to go above and beyond for our customers. Our cultures are extremely compatible and I am confident that our respective teams will flourish under this new structure. 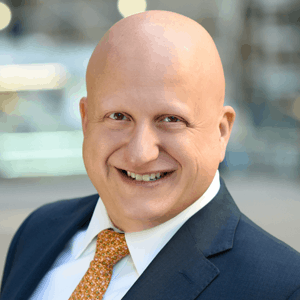 The acquisition paves the way for a powerful partnership going forward.” Mr. Schroeder will remain an advisor to the company. The acquisition was made with the company’s existing cash resources. Concurrent with the acquisition, Solidifi’s parent, Real Matters, raised $60 Million in financing to strengthen the company’s balance sheet and to pursue further strategic opportunities. The company has invested more than $30 Million to date in its industry-leading technology platform that will further enhance appraisal and title transaction performance for Solidifi and Southwest Financial Services customers. Berkery Noyes advised on the transaction. About Solidifi: Solidifi is a leading independent provider of residential real estate appraisals. The company has built a strong reputation and partnership with more than 25,000 appraisers. Today, Solidifi is the appraisal service provider of choice for more than half of the top 100 lenders in the U.S. Understanding the power of technology to boost productivity both internally and for clients, Solidifi’s team is made up of mortgage industry specialists and technology innovators. The company has invested more than $30 Million in its leading SaaS-based platform supported by a dedicated technology team. Solidifi’s capabilities have earned them a place on Deloitte’s Technology Fast 500 for the past four years. Additional information about Solidifi is available at www.solidifi.com. Solidifi’s National Headquarters is located in Buffalo, NY. About Southwest Financial Services Ltd.: Southwest Financial Services has been a trusted partner to many of the nation’s largest lending institutions for more than 30 years. Proven solutions and state-of-the-art technology combine to offer clients seamless and efficient title, flood determination and valuation services. Dedicated lender teams provide the foundation for efficient, professional and customized service for every client.